It is official. 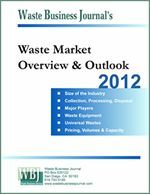 Republic Services is acquiring Allied Waste for about $6.07 in stock to create a much stronger competitor to industry leader Waste Management. 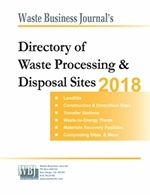 The combined entity, to be called Republic Services, Inc., will have $9 billion in annual revenues and a market capitalization of $12 billion, employ over 35,000 people serving more than 13 million customers in 40 states, and own 228 landfills, 257 transfer stations and 86 recycling facilities. Under the terms of the agreement, Republic Services will pay Allied shareholders 0.45 worth of a Republic share for each share held. The companies expect to achieve about $150 million in net pretax annual synergies by the third year following completion of the transaction. Synergies are expected to come from greater operating efficiencies, capturing inherent economies-of-scale through increased vertical integration of markets and leveraging corporate and overhead resources. Moreover, the company expects to generate strong and predictable cash flows from operations in excess of $1.7 billion annually that will be used to invest in the business, fund the dividend program and reduce debt to maintain and improve its investment grade credit rating. That the combined entity end up with investment grade debt was an important consideration, and perhaps, justification for the merger. Allied currently has a debt load of $6.67 billion, four times its operating profit. Republic however, has debt of only $1.7 billion, or 1.9 times its operating profit. Another justification comes from rising operating and transportation costs, particularly from higher fuel and commodity prices, and equipment costs is lending more advantage to larger enterprises that can better hedge and save through volume purchase agreements.